Don't get caught "Cat Napping" on your Catnip Capers! Our CWA year is "Catapulting" along! Summer brings our busy outdoor living season and vacations and some of our Granges meet less often. With this in mind, I'd like to offer some reminders. This is a good time to look over your WA Report Forms-- blue for Community Granges, green for Pomonas. Determine which requirements for your Certificate of Excellence you still have time to meet. This report is due to the State Director, Betty Jane Gardiner by September 1st. Have you made your donations to the Student Loan Fund, the Connecticut Granger Trust Fund and the Camp Berger Maintenance Funds? Is anyone making items for the sales tables in the New England Grange Building at the Big E? There's still time to get entries for our various CWA contests. 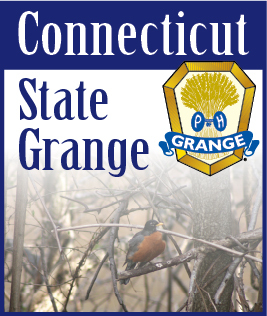 Remember all state judging will be on Friday, July 23, 2010 at Cheshire Grange Hall. Items will be received between 9-11 A.M. and Judging will begin at 1:00 P.M. Contact anyone on the State WA Comm. or your Pomona Chairman if you need to have the items brought to the judging. We will be happy to help you out. There seems to be quite a bit of enthusiasm in our Granges for our Covenant to Care project- the "Baby and Toddler Shower" with many Granges making this a festive party! If you haven't done anything for this project yet- your summer Grange picnic might be the answer! Any items that babies and toddlers use are welcome- bibs, pacifiers, baby lotions and powders, socks, onesis, outfits, sweaters and hats- keep your eyes open for the sales! The items don't have to be expensive and should be left unwrapped. Don't forget our Foster Kids project! This year it's "the pick of the litter! "- any of the things we have done in the past three years. These include Christmas stockings and "stuffers," Comfy Covers, "Catnip" pajamas, memory books, backpacks and school supplies and gift cards ($5.00 and $10.00) to WalMart, Target, Old Navy, McDonald's, Wendy's, etc. or a monetary donation to offset expenses for school trips, proms, etc., for the older kids. You can choose one or as many as you want. We also promote donations to shelters, food banks, convalescent homes, VA Hospitals, etc. in your communities by your Grange to earn credit for your Certificate of Excellence. We would encourage you to send any of the items for Covenant to Care and Foster Kids to State Session in October, with your Grange delegate. They will be presented during the session. We will be looking forward to seeing everyone at our "Let's Celebrate Day!" on Saturday, July 24, 2010 at Cheshire Grange Hall. All contest entries will be on display from 11:00 A.M. to 2 P.M. with a Meatloaf luncheon ($7.00) served by the Junior Deputies, followed by some great entertainment at 2:00 P.M.